Pedestrians are in the roadway. 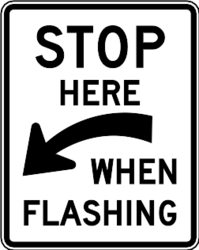 You must stop behind indicated mark on flashing traffic light. 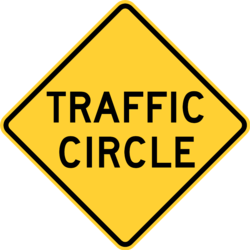 This circular yellow sign with black markings identifies what? 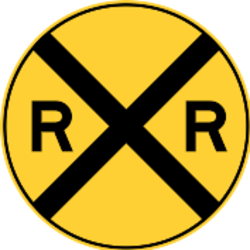 Railroad crossing ahead and to proceed with caution. 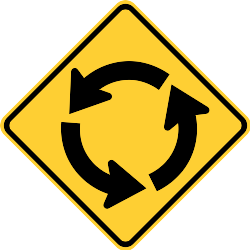 This yellow diamond shaped sign with black text says that you're approaching a ______. What does this yellow diamond shaped sign with black symbols indicate? Extra focus required for road section. This yellow, diamond shaped sign with black symbols says that you're coming to a _______. What does this white, rectangular sign with black lettering tell you? 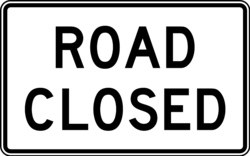 Road is closed during night hours. 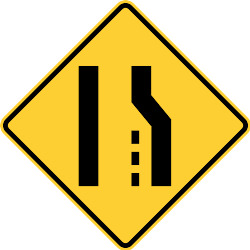 Road closed to all vehicles. 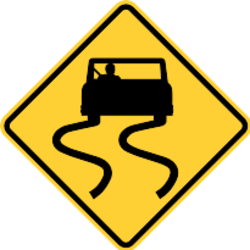 Due to road conditions, passing is not recommended. Road closed unless you have an off-road vehicle. 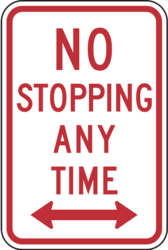 This rectangular sign, with red background and white text, can supplement what common traffic sign? 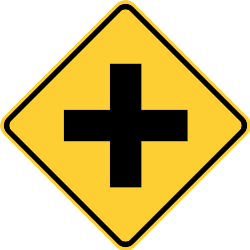 All intersection directions that have stop requirements. What does this yellow, diamond shaped sign with black symbols caution you of? 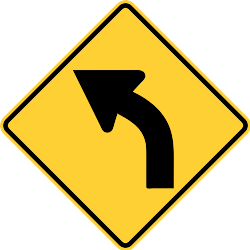 A curve to the left ahead. If you see this sign that means _____. Loading and unloading is acceptable here. You can stop your vehicle temporarily. 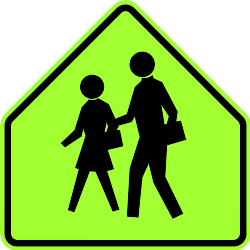 The speed limit is changing ahead, probably for a school zone. What does this yellow, diamond shaped sign with black symbols signify? There is a new lane forming ahead. The right lane is ending. 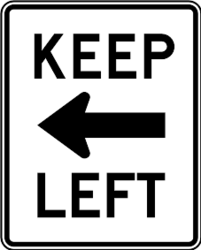 The left lane is ending. This yellow, diamond shaped sign with black symbols shows that ______. There's an exit to the right. A merge is about to occur or is occurring. Merge to the fast lane. 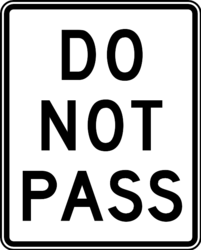 Which of the following actions should you take after seeing this sign? 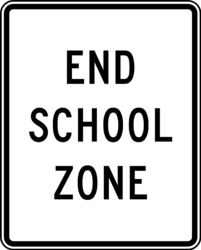 Return to the speed limit prior to school zone. 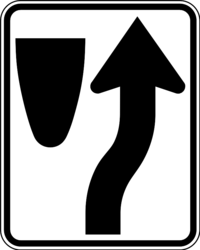 Begin speeding as it's now permitted. What does this rectangular, white sign with red lettering mean? Stopping acceptable as long as someone is present in the vehicle. Permitted to change a flat. Loading and unloading is allowed. You should not stop here unless absolutely required. What does this rectangular, white sign with black lettering and symbol advise? 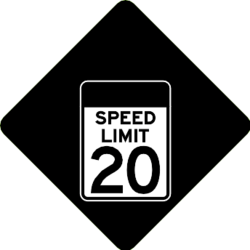 Slow down because you're going below the speed limit. If you're going below the speed limit, ignore all other traffic. If traffic is moving faster, you should get off at the next exit and avoid that route. Continue on until you reach the next speed limit sign. You may not pass for any reason. Look for reduced speed limit. 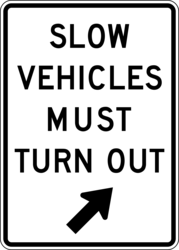 Slow vehicles should pull off. What does this yellow diamond-shaped sign with black symbols indicate? 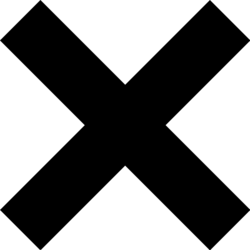 This sign with black 'X' lettering identifies what? This rectangular sign with red lettering and symbol, indicates what? 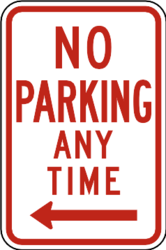 You may only park here for one hour. If you have the correct permit, parking is acceptable. No parking here Monday - Friday. You may not park on the side of the road in this direction. What does this white rectangular sign with black symbols indicate? Only parking for one hour. If you park here, your vehicle will be towed. 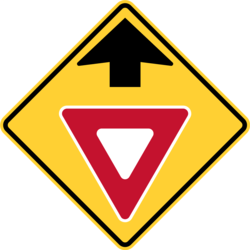 What does this yellow, diamond shaped sign with red/black/white symbols warn you about? What does this rectangular red sign with white lettering indicate? Continue going in this direction. Park your car on the side of the road. Speed up until you reach an intersection. 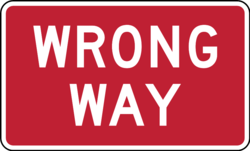 Do not go this way.